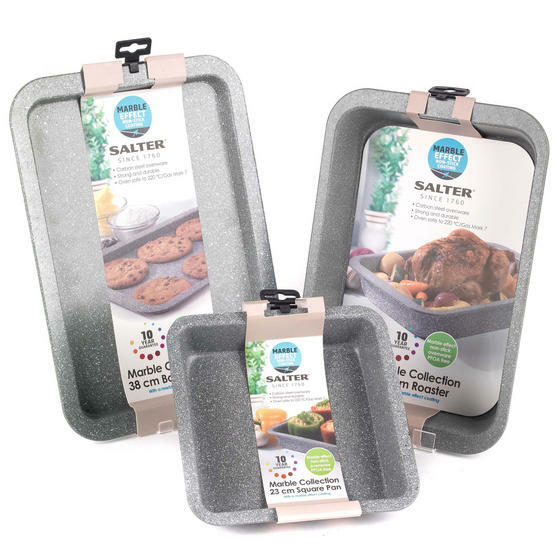 Cook delicious dinners for your friends and family using this fabulous Salter 3-Piece Oven Tray Set, made from wonderfully durable carbon steel. 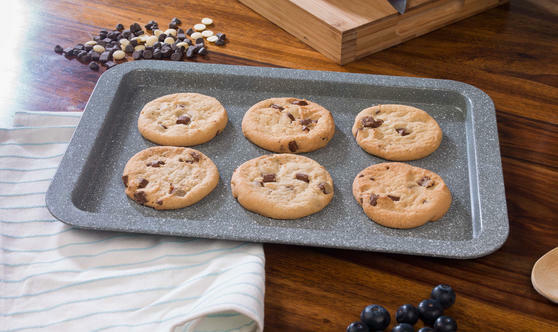 The beautiful grey marble non-stick coating ensures that your food will be released with ease and presented perfectly without leaving debris. 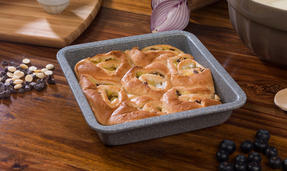 Dishwasher safe and with sides to keep food and oil well contained, you can use your bakeware to rustle up new and exciting recipes with a fuss-free clean up afterwards. From the Salter Marble Collection, this 3-Piece Set is high quality with a classic finish which will look lovely in your kitchen. Made from 0.5mm carbon steel, this heavy gauge bakeware is strong, durable and long lasting, so you can always bake with confidence. 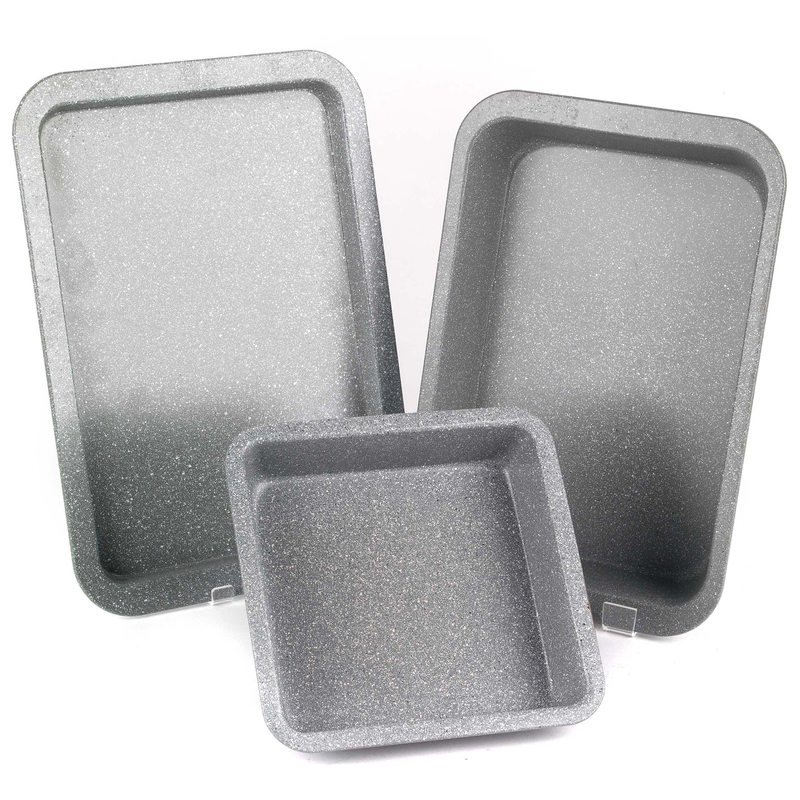 The superior non stick marble coatings ensure that food will easily be released when cooked without sticking or breaking. 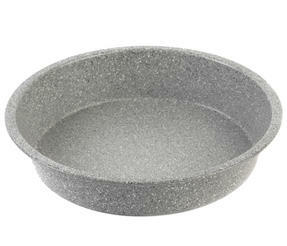 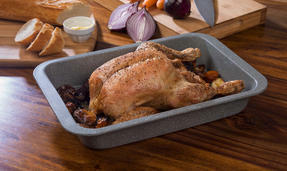 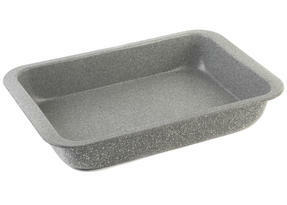 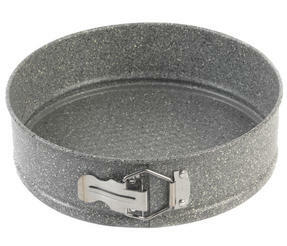 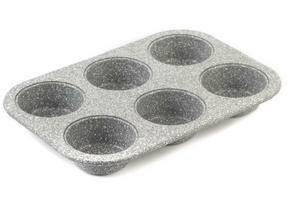 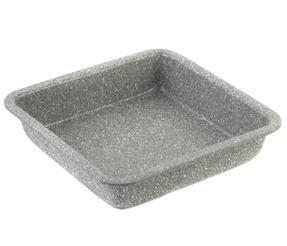 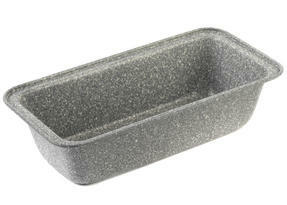 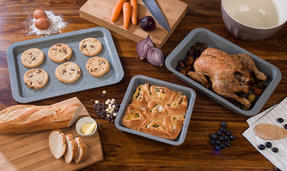 Oven safe up to 220°c, the set includes a 23cm square pan, 36cm roaster and 38cm baking tray. 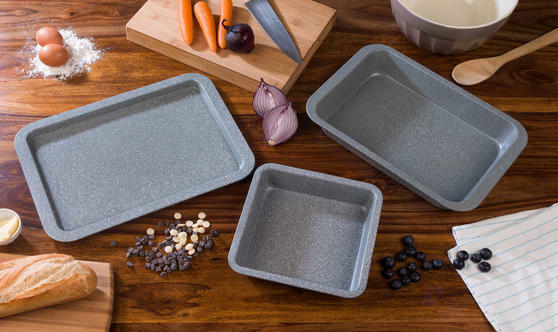 The set is also wonderfully easy to clean as the non stick coatings ensure leftover bits will simply wipe off with warm, soapy water.